• Maximum print size is 16” x 18”. • Screen Printing up to 8 colors. 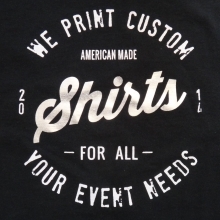 • We do require a minimum of 10 shirts..
Super durable and looks great on garments of any color. Formulated to achieve superior opacity and color matching accuracy, plastisol inks are the most commonly used inks for screen printed apparel. Discharge ink is the water-based ink for dark garments. It is considerably softer than any plastisol print requiring an underbase. 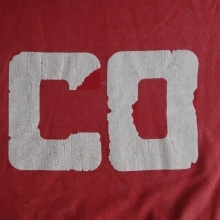 This is a Plastisol ink that can be colored (or pigmented) and is designed to produce a print quality similar to water base inks. 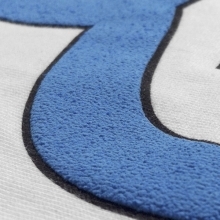 Like standard plastisol, it can print very fine line counts and detail. Nylon screen printing ink is specially formulated for extra adhesion, stretchability, and durability. The inks are specifically designed for printing on nylon but will also adhere to other surfaces. Direct print low-bleed series for controlling dye migration on 100% polyester fabrics. This ink has excellent bleed resistance, adheres and stretches well, and is available in a huge selection of colors. 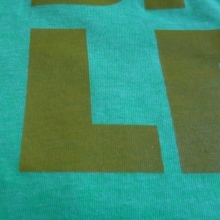 4-Color CMYK inks are formulated to achieve the cleanest and highest intensity colors for screen printing on textiles. For printing a full color image or photograph. 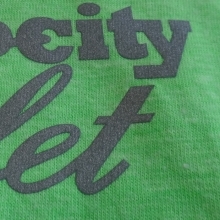 Effects, Specialty Inks and Imprint Methods are additional features. They are available by special request, and often require special pricing. Puff inks are simply chemically designed to puff up when cured in a belt oven. When the ink reaches curing temperatures, it will puff up and become raised off the garment. The flash and brilliance of foil makes a shirt stand out in a crowd and can increase the value of a shirt tremendously. 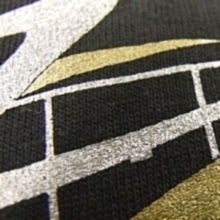 Foil can be transferred to a plethora of special effects inks. Metallic Silver is actually a very fine bright silver ink with a chrome look. It is recommended for a cold wash inside out for best long term results. Phosphorescent ink can add a highlight to your design and makes it possible to be seen in the dark. A white shirt or under base is recommended for this item to give the best effect. 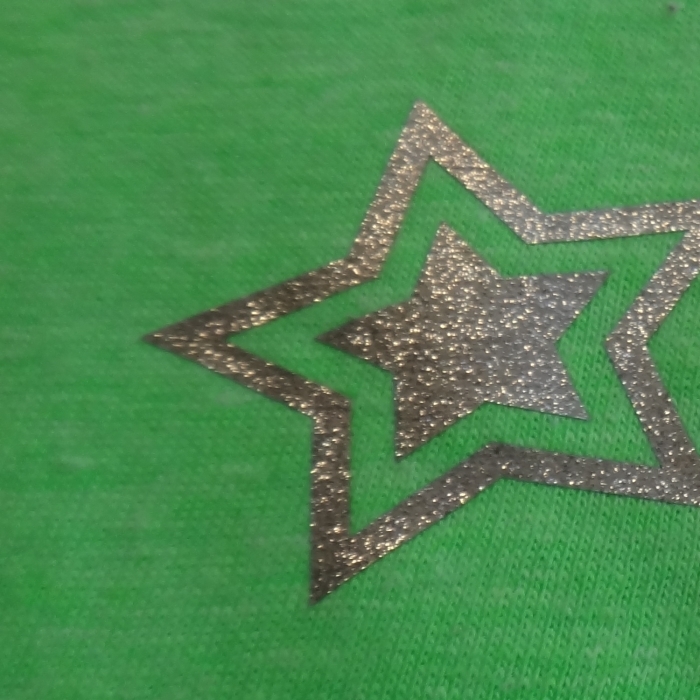 Glitter Ink is the best way to bring sparkle into your design. Reflective Film reflects any bright light (like headlights). Perfect for anyone looking for high-visibility apparel. 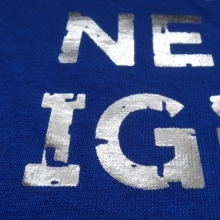 Reflective Ink is a plastisol-based ink with the unique ability to reflect once a light source is aimed at the print. Crackle ink gives the look of a tattered and split imprint with the durability of a modern, freshly printed design.